Mrs. Theodora Ayer Randolph was Master of Piedmont Fox Hounds from 1954 until the time of her death in 1996 and Chairman of the Virginia Fall Races for many years. When Mrs. Randolph first became Master of Piedmont, she hunted seven days a week. Wednesday, Friday and Saturday she led the field at Piedmont, and on the others days she hunted in the field at Middleburg, Blue Ridge or Rappahanock. Horses and horse sports were the most important part of her life, and foxhunting, was the sport she loved the most. In addition to her foxhunters, Mrs. Randolph had steeplechasers, flat horses and show horses, and most of them were homebreds. Since one of her homebreds was among the first to win the Field Hunter Championship, it is quite fitting that this event carry her name. Founded in 1989, the 30th Annual Field Hunter Championship Finals will be held on Saturday, October 12, 2019 at 9:00 a.m. in the race infield at Glenwood Park. Best Turned Out will be judged at 8:00 a.m. at the Glenwood Park Front Entrance. Trophies awarded for Best Turned Out, Sportsmanship, Most Suitable Pair and for the Hunt with the most competitors. Ribbons will be presented to 8th place. The event is judged according to the manners, style and suitability of foxhunting mounts. Judges have been selected from various fox hunts. The Field Hunter Championship competition offers four days of first field hunting privileges to the same horse and rider combination for an entry fee of $300. The entry fee covers the same horse and rider combination. (An additional horse entry will require a separate entry fee.) Awards will be given throughout the week. Events include private receptions and an event at the National Sporting Library and Museum. Also included are General Admission tickets to the Virginia Fall Races and a listing in the race program. This event brings together fox hunting enthusiasts from all across the U.S. and Canada to participate in the week long trial. Riders are welcome, but not required to hunt every day. Mounted judges ride alongside the numbered contestants as they hunt with four area fox hunts. 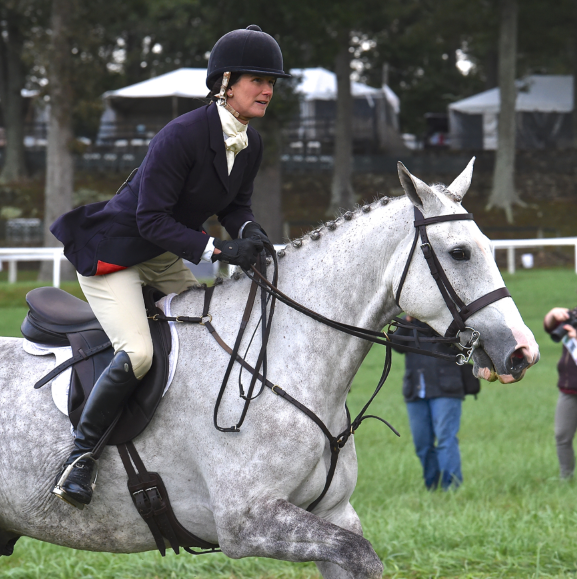 At the end of each hunting day, the horse and rider combinations are announced and will qualify to compete in the finals held Saturday at Glenwood Park. The competition will take place prior to the start of the first race. The Saturday morning finals of the Field Hunter Championship give spectators a unique opportunity to watch high level field hunter and rider combinations. Competitors participate in a mock hunt and finalists are then asked to individually ride a course of approximately 15 jumps and tests. They may be asked to dismount and remount from a log, open and close a gate, or trot over a fallen tree. After each horse’s hunting skills are demonstrated and the individual rides completed, the Championship is determined. In 2017, 26 hunts from 12 states were represented. Bring your friends to have fun and ride in the beautiful Virginia hunt country! SEE FIELD HUNTER ENTRY FORM ON THIS WEBSITE.